The Milwaukee rumor mill has been bringing us plenty of great rumors of would be tools and we finally get some concrete evidence that there will be a new Milwaukee cordless chainsaw! 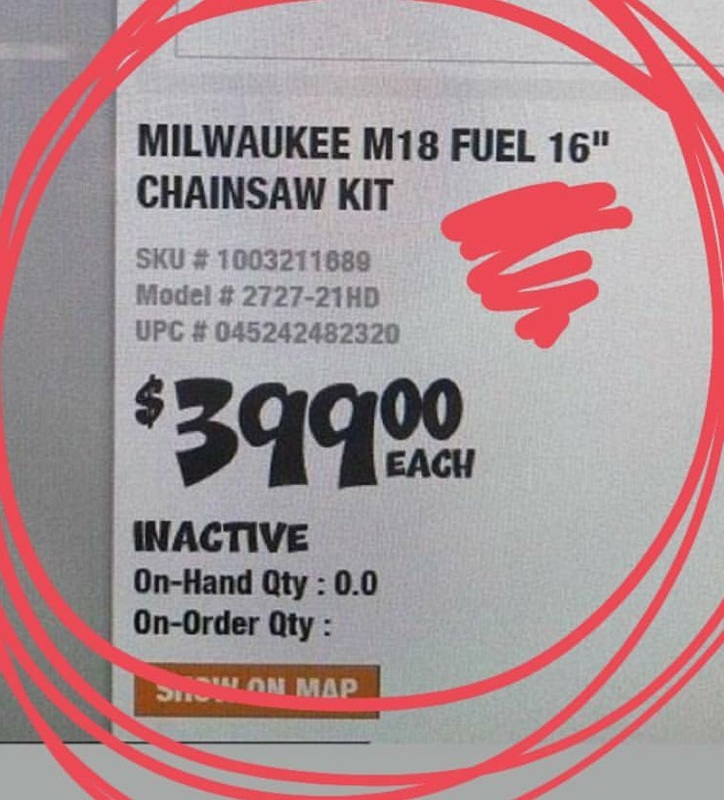 We don’t get a picture or a specs list but Cody Robertson spotted an HD label of the new chainsaw SKU along with it’s official name which is the Milwaukee M18 Fuel 16″ chainsaw and a model number 2727-21HD (all thanks to @sacfasteners social media page for sharing). 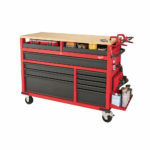 Although no specs list is available just yet, we know from it’s name that it’s pretty obvious it will be a 16 inch chainsaw and will run on their 18V batteries. The Fuel name lets us know it will pack a brushless motor and the HD designation in the model number tells us it will come bundled with one 9.0 ah battery and rapid charger. We can also see that it will be priced at $399 as a kit. I must say this is pretty impressive because you just don’t see any cordless 18 volt chainsaws with bar and chains larger than 12 inches. 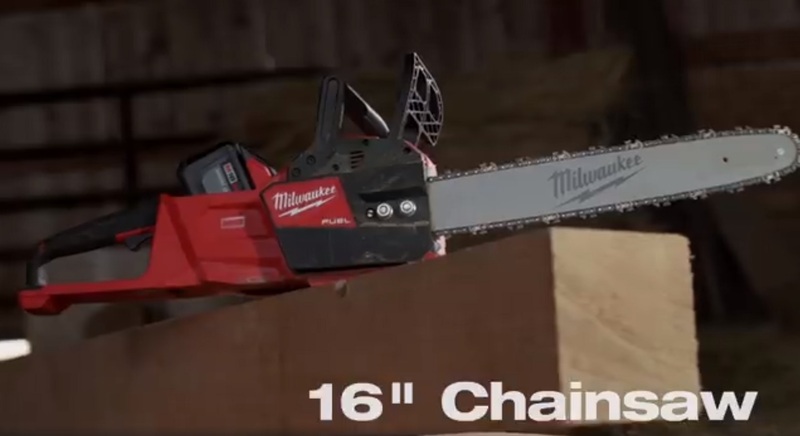 For other brands to make cordless 14 inch chainsaws or larger, they have to go with something higher than 18V such as 36v/40v or higher such as 56V and up but Milwaukee somehow managed to make a 16 incher using only 18 volts. Seeing as how this was spotted on an HD label, we can confirm a Milwaukee 18V chainsaw is no longer a rumor but a reality. I expect more news to come in soon. No ETA just yet but I’ll inform you once I get news. 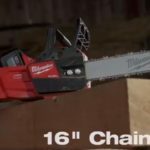 The new Milwaukee M18 Fuel 16″ Chainsaw has been officially announced at this years NPS18 event. Check it out by clicking here. 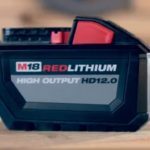 Rumor – Milwaukee Might be Coming Out With A 12.0 Ah Battery and Cordless M18 Chainsaw – No longer Rumor – They’re Real!